This resource has versions for Chromebooks, Tablets/Ipads, Google Classroom, Google Slides, PowerPoint, and a recording sheet! 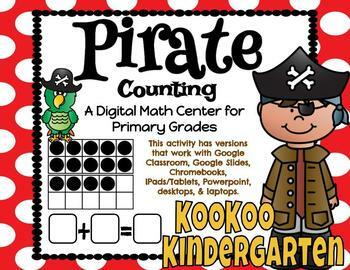 This Digital Center is a great way to incorporate technology in the classroom while meeting common core standards! 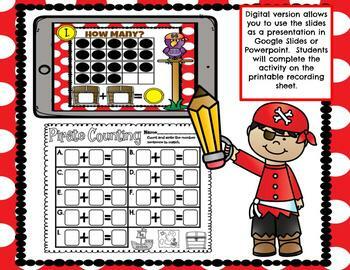 --The Tablet/Ipad version (PDF) allows you to share through Google Classroom and students will use their finger or stylus pen to write directly on their device to count and write the correct number sentence. --The Chromebook version has students count and type the correct number sentence. 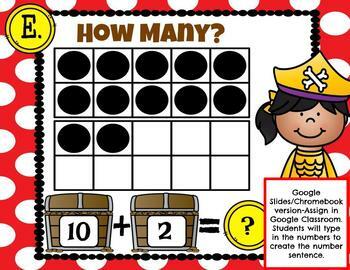 --The Digital version allows you to use Google Slides to display the activity and students will count and write the correct number sentence on the printable recording sheet. 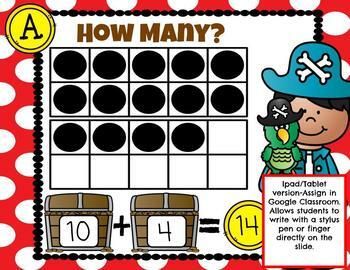 --The Powerpoint version allows you to use a computer/device and students will count and write the correct number sentence on the printable recording sheet.